One god’s love will heal my heart. Another god’s love will heal humanity. So I can heal people. Sounds cool in theory. Feels great when I can actually swing it. Unfortunately, my dad is all about keeping a low profile and healing folks only when it’s absolutely necessary. I suppose that’s best even though I’m super sick of hiding what I can do, especially from my best friend Angie. I think I might have royally screwed up, though. Someone has been following me for weeks, and there are two new guys at my school who act like they know me, asking me pointed questions about my work at the hospital and how I “help” people. …but I’ve never claimed to be particularly intelligent. 2016 Reader’s Favorite Silver Medal Winner for YA Romance! 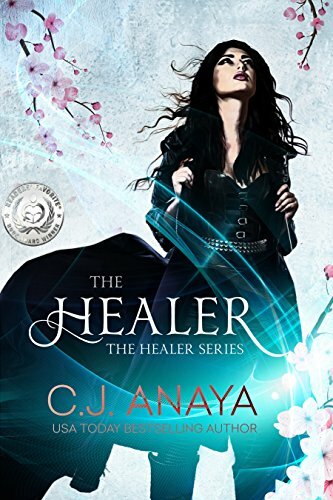 Grab The Healer Series: The Complete Set, Books 1-4, and save $3.00 on the entire series. Perfect for fans of Sarah J. Mass, Jaymin Eve, and A.L. Knorr.